2015, what a year! As we get older we always comment on how quickly the years fly by, we wish we could put a pause button on certain moments to take them all in, but alas this isn’t possible. So we thought a quick round up of some of our favourite places and things of 2015 would be a good second best. So without further ado, here are the very unofficial Betty Awards of 2015! Of course the winner was going to be Margate, it was love at first sight and where we shot the cover story for our 2015 annual. Located on the South East coast in Kent, it is 1.5 hours from London on the train. 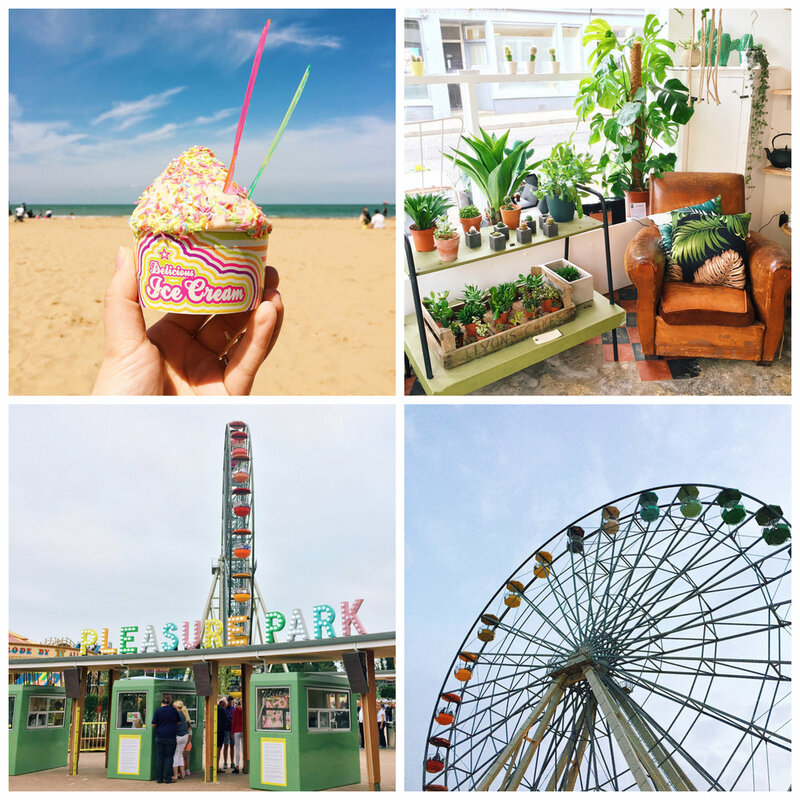 It’s home to the retro fun park Dreamland, it has breath-taking sunsets, and then there’s the Old Town which is home to some super cute shops making it the perfect weekend break. Maltby Street Market has everything you need to while away a Saturday afternoon in South London. From Little Bird Gin, to Monty’s Deli Salt Beef Sandwiches, all tummy’s will be satisfied. Just round the corner you will find Druid Street Market, which is home to Fattie’s Bakery and Blu Top Ice Cream – did we mention they sandwich together homemade ice cream with cookies then roll THE WHOLE THING IN LUCKY CHARMS?! Our trip to Tuscany with Italian Eye has to win this award! We’ve been lucky enough to visit some amazing places this year, not forgetting our road-trip to Norway, mini-break in Ibiza, city break in Dublin, as well as exploring the British shores Cornwall, Bath, Bristol and Bournemouth to name but a few. However this once in a life-time trip saw us eating food we have only dreamed of, in a setting fit for a Queen (or King), not to mention meeting some of our favourite Instagrammers IRL. Orla Kiely’s SS16 presentation was a Betty dream come true, have you ever wanted to play crazy golf in Palm Springs some time in the late 60s? Us TOO. The clothes, the hair, the set, the colours, all of it had our eyes popping out on stalks. We can’t wait for it to land in-store come Spring. Ok, so we’re not going to rank our new friends, as a) that’s cruel and b) quite frankly we love them all as much as each other. 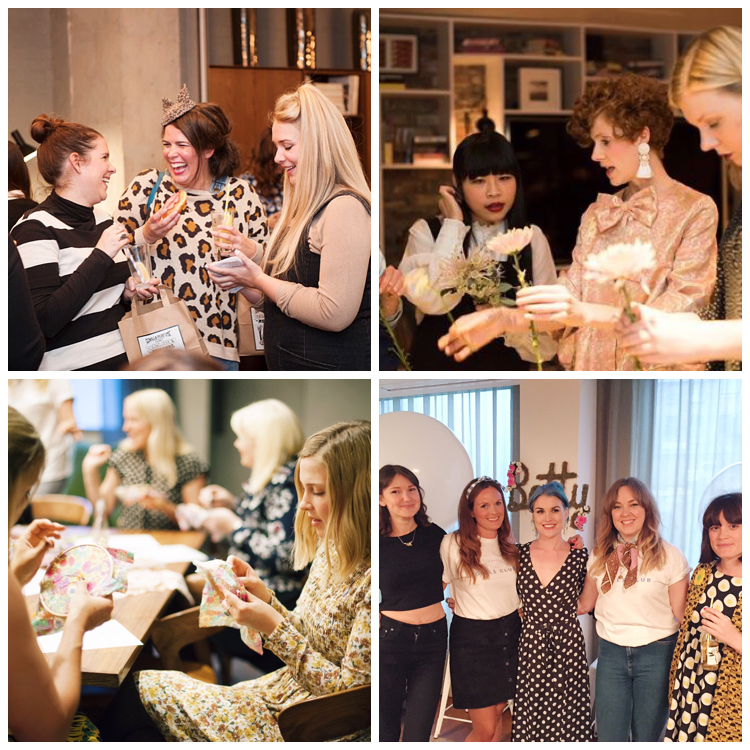 In 2015 we launched The Girls Club, we had four wonderful events at The Hoxton Hotel (five if you include our launch party), and we met some wonderful Bettettes, it cemented some brilliant friendships both old and new. We love the support network that is out their for female creatives, so this is a shout out to you all for being god-damn-fabulous. For every Instagram/Twitter/IRL chat we’ve had, you’ve all contributed to the party and offered invaluable support and advice. We’d like to thank each and everyone of you – you rock. It’s a tie! These two places stand out as our most memorable eats of the year. 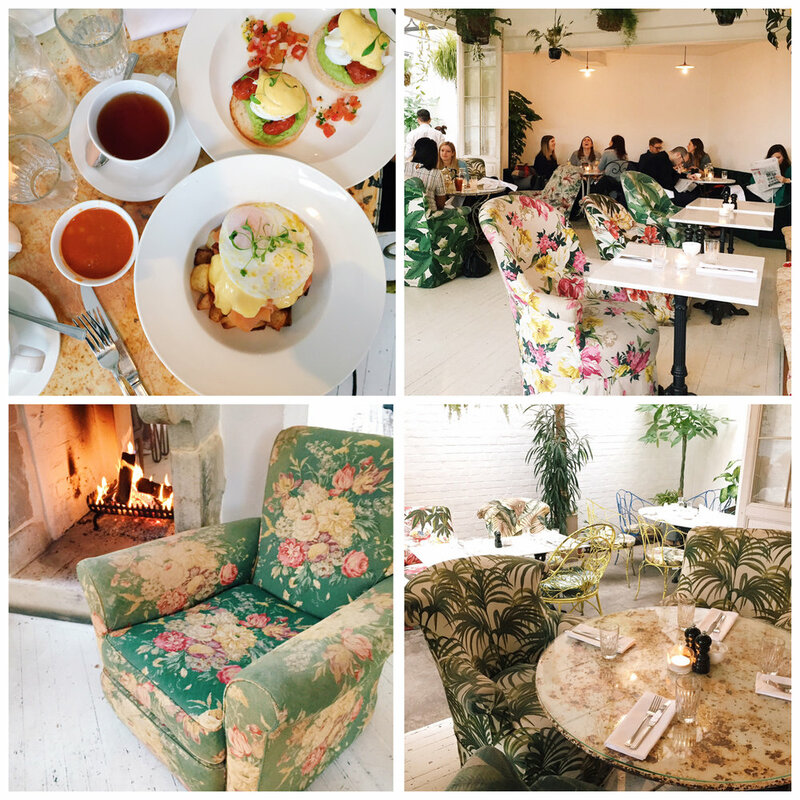 Bourne and Hollingsworth was one of our two favourite new places for brunch, the decor, the atmosphere and food was all exceptional, trust us you won’t be disappointed. If we could steer you in the direction of the Huevos Benedictos, with a side of Crispy Potato Hash, you won’t go far wrong. Next up is M1lk in Balham, we’d heard rumours of how good this place was for months but it’s not often we find ourselves that side of town. We also don’t often queue for food, but the 35 minute wait was worth every second. Go early, and go hungry. It really is a cut above the rest, we can still taste those Buckwheat pancakes and a burnt marshmallow side. Yep, we couldn’t call this one either. 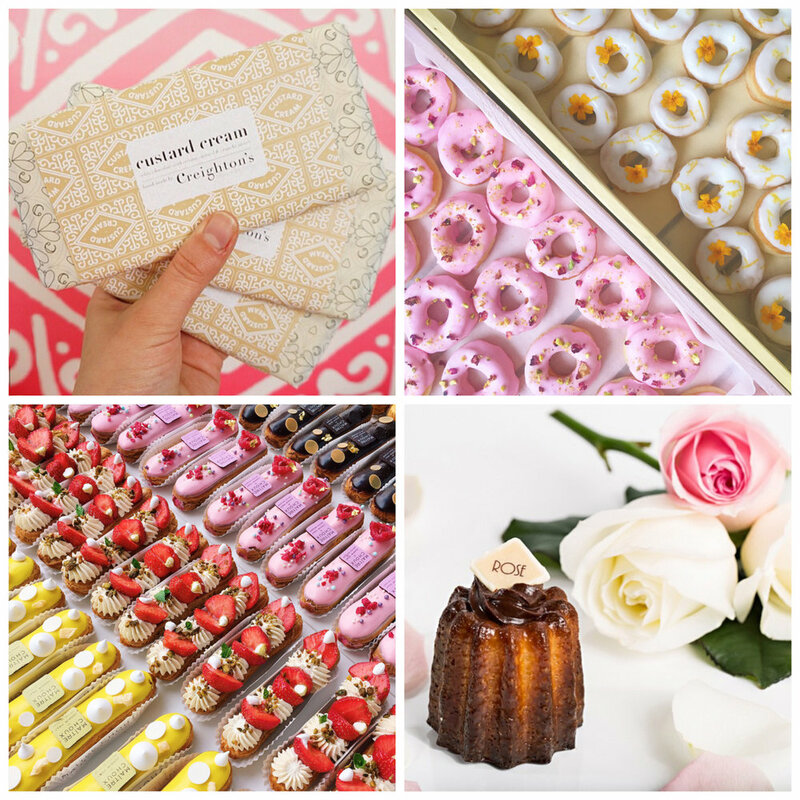 You cannot make a Bettette decide her favourite cake….it would only get ugly. So in this section we are just going to list our top four (l-r):Creighton’s Chocolate, Babelle, Vicky’s Donuts and Maitre Choux. Thank you all for making our jeans a little tighter the past year. It’s another tie we’re afraid, we are not very good at awards are we – we kinda want everyone to get one. First up is The Parlour at Sketch London. Three words: baby pink velvet. Sketch ties in our number one afternoon tea spot, not just for its bubblegum interior or the David Shrigley, but for the whole experience. It is well worth the money, the staff are attentive, the food is excellent, and the goody bags are bound to put a smile on your face for days afterwards. Coming in at joint first is BB Bakery. A tour on an old London Routemaster wouldn’t have been our first choice for afternoon tea, but we do these things for you under the name of research and boy are we glad we did. We can’t explain how much fun it is touring round London whilst stuffing clotted cream topped scones in one’s mouth. Truly memorable, and one we fully endorse! We couldn’t finish our round up without including our favourite photos taken by our favourite people. That’s right, we’re talking about YOU, the Betty reader! 2015 saw us publish our very first Betty Annual! Betty is a part time passion project, we all have other jobs, so it means the world to us when we see you with your copy of Betty in hand. We can’t wait to see what 2016 has in store for us, but we know whatever it is, we’d never have got this far without our loyal Bettettes, so thank you all for your support! We hope you like the new site, there are still a few tweaks to be made, but please leave any feedback / suggestions about Betty in the comments. We’d love to hear them!